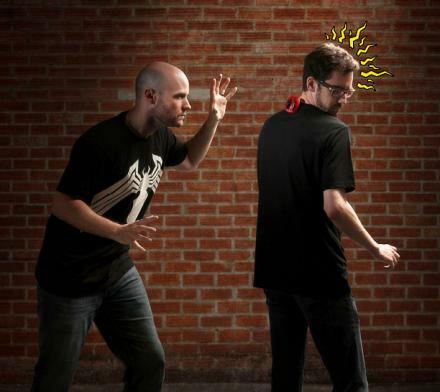 The Spidey-Sense T-Shirt is a shirt that has a sensor on the back of it that will detect motion within 5 feet behind you. Once it senses someone it will send a vibration to the back of your neck so that you will always know when dangerous rapists are lurking behind you. To work it, just simply hold the power button for 4 seconds, a quick buzz will let you know it's on, after that just clip it on to the back of your shirt, and you're ready to start sensing creeps behind you. At 5 feet of distance, you will sense a very slow pulse, at 4 feet, a slow pulse, at 3 feet, it will pulse regularly, at 2 feet, a fast pulse, and at 1 foot, a very fast pulse. 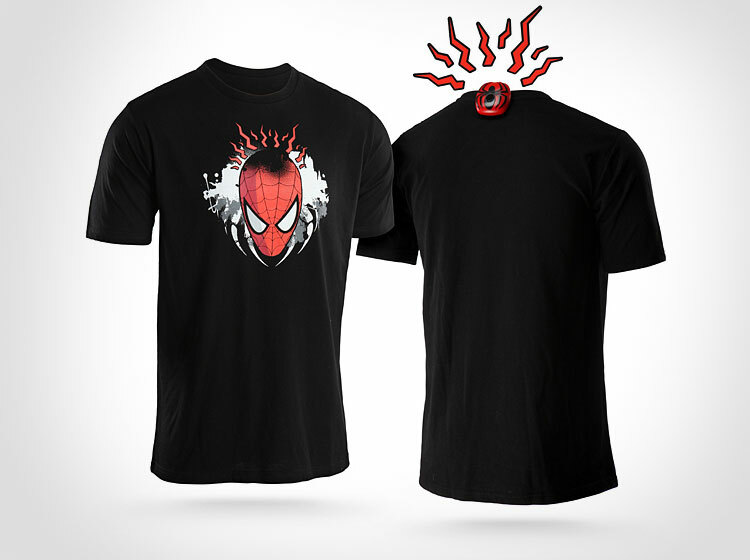 The Spidey Sense Electronic device comes with a black t-shirt with a Spiderman graphic on the front (although you can clip it on to any shirt), is powered by 2 AAA batteries, is officially licensed by Marvel, and the shirt is made from 65% polyester and 35% cotton. 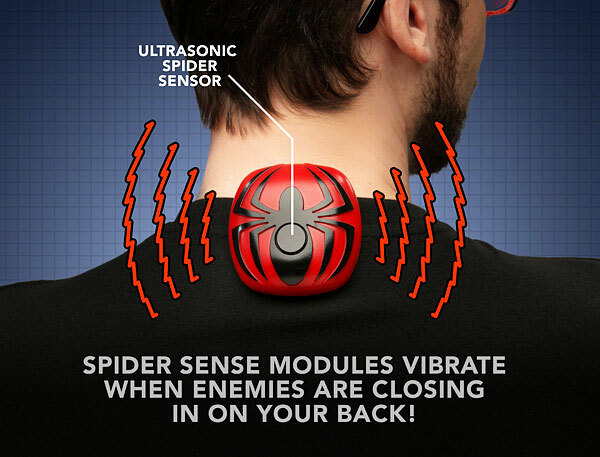 NOTE: This spidey-sense device and shirt will not be available until October 2014.